Most people think the way to find a great investment property is to search listings on Zillow or call a realtor in their neighborhood. It turns out, these are some of the worst ways to find a rental property. As a real estate investor, your goal should be to make a high return. By the time a great deal hits Zillow or a realtor is listing the property with a yard sign it’s going to be overpriced, cutting into your ROI. Often with a retail property, you’ll still have a rehab to do so you’ll need to wiggle room in order to keep your overall costs down. And that’s where off market properties come into play. An off-market property simply means the market doesn’t know about it. A realtor hasn’t listed it and no one is putting out a cheese tray at an open house. Finding an off market deal takes a great deal of patience and the ability to be endlessly creative. 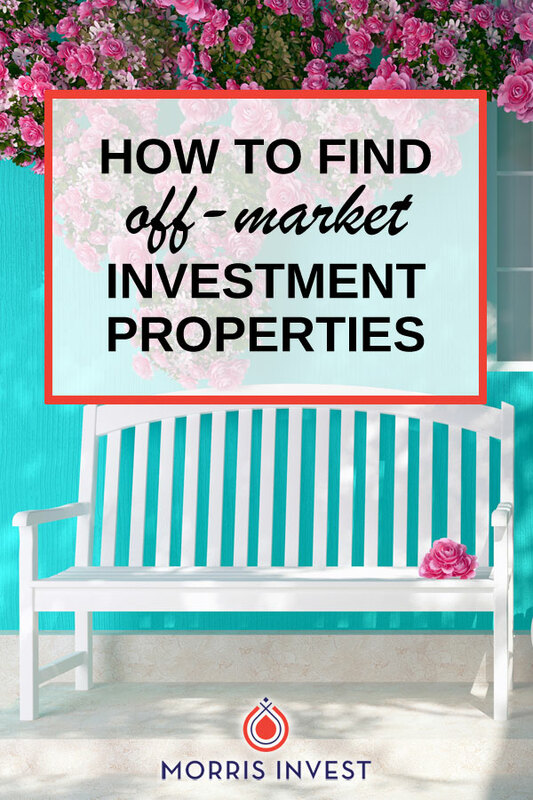 There are many ways you can find off-market houses. In this post, I'm sharing a few of my tried-and true methods. This is not a comprehensive list, but rather a few of my favorite ways, and a jumping-off point to get your head in the game! Knock on doors. Vacant house in the neighborhood? Ask the neighbor if they know who the owner is. If a house is vacant, chances are the owner wants to sell it. They might have back taxes, or there are too many repairs to deal with so you can likely get a great price on it. Don't be shy! You never know what could happen if you simply ask. Direct mail. This is perhaps the most popular way to find off-market properties. Pull a list of houses from a website like ListSource.com. Target your favorite zip codes. You’ll want to target owners that have a lot of equity in their house, and that’s easy to do on a website like Listsource. Send the owner a letter or post card letting them know you’re currently buying houses in the area. Provide them with a phone number and make them an offer. Very often I’d send out thousands of these letters and for every 100 letters you should expect about 1-10 phone calls. 3. Meet ups. Regardless of your real estate goals, you should attend a meet up in your area! Local meet-ups are a great way to find investors who know inside details about off-market deals. You can find a meet-up in your area by visiting meetup.com. If you want to learn more about making a high-return investment, we can help! Click here to book a free 30-minute consultation about turnkey real estate.